If not, you can have an overview here below. 1. What is a Bid Bond? The Bid Bond is granted in favor of the Employer to secure that the Contractor/tendered duly complies with its obligations either during the tender phase or afterwards. In particular the Bid Bond guarantees that (i) the Contractor does not withdraw from his tender before the end of the bid acceptance period set by the Employer or (ii) the Contractor fulfils the obligation to sign the contract -if awarded to him- or (iii) the Contractor does not fail to issue the bonds provided in the contract itself after the award of the contract (for instance, to provide the performance bond). 2. What is an Advance Payment Bond? The Advance Payment Bond is issued to secure that any sum paid in advance to the Contractor before the start of the works will be duly paid back to the Employer by the end of the works. The Employer, usually, pays to the Contractor (after the signature of the contract) an amount normally at around 10% of the contract price. The advance payment is used by the Contractor to start the procurement and/or the mobilization process. Usually, the mechanism is that the advance payment is repaid back to the Employer during the execution of the project by way of deductions on each interim payment made by the Employer. If the advance payment is not paid back (for instance because the contract is terminated in advance), then the Employer will obtain the repayment of the advance payment not yet repaid back by calling the advance payment bond. 3. What is a Performance Bond? The Performance Bond is the guarantee which secures the Employer in case the Contractor will not complete (or not duly and/or timely complete) the scope of works under the contract. If the Contractor breaches any specific obligations, the Employer will be entitled to call the performance bond (in full or partially depending on various circumstances) if the breach is not remedied or is not capable of being remedied. 4. What is a Warranty Bond? The Warranty Bond secures the Employer from the failure of the Contractor to remedy any defects in the works which could occur during the warranty period of the works as provided under the contract. If the Contractor will not repair any defects during the warranty period or will not comply wiht its warranty obligations in a timely manner, then the Employer will be entitled to call the Warranty Bond. 5. What is the usual form of construction bonds? 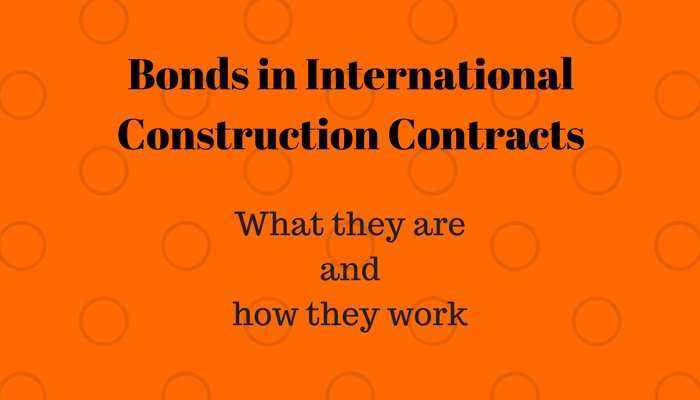 There are mainly two major categories of bonds in construction contracts. They are (A) the default guarantee and (B) the on-demand guarantee. As the names imply, they operate quite differently. A. 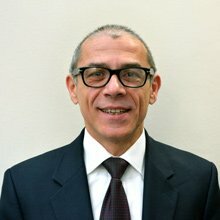 What is a "default guarantee"? It is also known as the "conditional guarantee" and, very broadly, will be paid when the Employer has proven the actual Contractor's breach under the terms and conditions of the contract. The guarantor, in turn, may raise any objection that the Contractor could raise against the Employer on the basis of the construction contract. B. What is an "on-demand bond"? On the other hand, the on-demand bond can be called on simple demand by the Employer who does not have to prove the default of the Contractor. Neither the Guarantor nor the contractor can raise any objection (on the basis of the underlying contract) to prevent the payment of the on-demand bond (despite there are certain cases in which the bond cannot be paid, for instance in the case of fraudulent calling from the Employer). 6. What is the relation between the guarantee and the underlying construction contract? One of the tests you can run to understand if the requested guarantee is in the form of an on-demand bond is to analyze carefully the relation between the bond and the underlying contract. In all those circumstances where the bond is substantially independent of the contract, then likely you are requested to issue an on-demand bond. The bid documents and the construction contract provides, generally, the type and amount of the bonds that the Contractor has to provide. The wording used is crucial and it is strongly advisable that at least the contract provides details on the bonds, such as for instance in which circumstances and at which conditions each of the bonds can be called by the Employer. This can, in fact, avoid the majority of the disputes that usually occur in relation to the calling of the bonds by the Employer. It is normally stated in the bond itself and it happens that the law governing the bond might be different from the law governing the construction contract. This happens especially in the case where the bond is provided by an international bank or surety company. If there is no express reference to the law governing the bond, usually the guarantee is governed by the law of the country where the guarantor which has issued the guarantee has its location. It is, however, advisable to ascertain that the governing law is expressly indicated in the bond and to take advice from a local counsel.